← Behind the Scenes with On Your Feet! 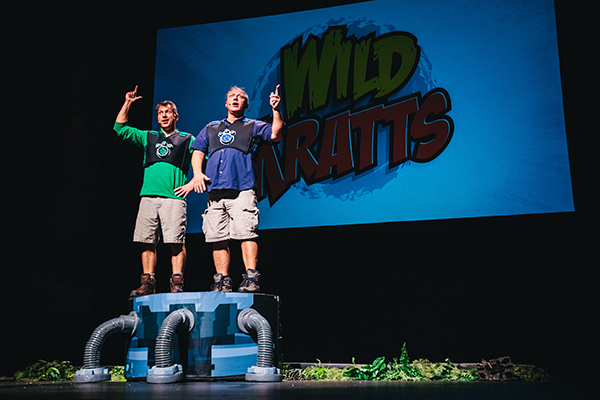 Lisa Condit recently spoke with Martin Kratt about his upcoming show, Wild Kratts LIVE 2.0: Activate Creature Power®!, coming to Worcester Saturday, April 6. Listen to the full WCRN interview below or read on for highlights, and be sure to tune in to 830AM Saturdays at 1 pm for more great interviews. Lisa: We’ve had the Kratts brothers at the theatre before, but it was a different show. Martin: Like we make new TV episodes, we had to make a new live show. Lisa: This one is about activating new creature powers. What does that mean? Martin: In all of our television shows, we’re always meeting some new animal from around the world and activating its creature powers so we can know what it’s like to be that amazing animal. In our stage show, we’re activating creature powers live and on stage. It’s like an episode of “Wild Kratts” live on stage. Lisa: ﻿This show is fun for kids of all ages. And we’re offering ASL interpretation at the 4:30 pm performance. This is great opportunity to engage with people who might not usually go to the theater. Martin: It’s a very interactive show, too. We love coming back to New England. As kids, we spent all our summers in Vermont. 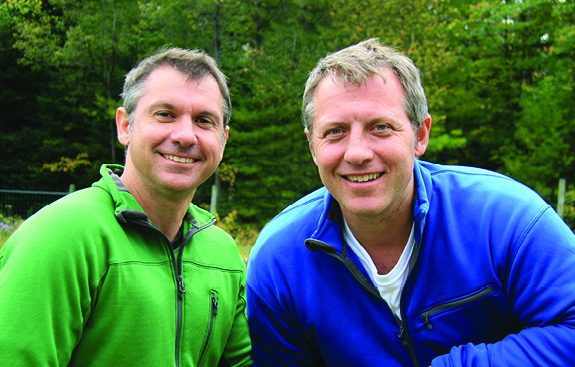 My brother, Chris Kratt, and I had some of our really formative creature adventures there. Those early childhood experiences really got our love for animals going. Lisa: I also love the healthy respect for wild animals. That’s really important. Martin: That’s something we try to show in all of our shows. One of the reasons we’ve been doing our shows, from “Kratts Creatures” to “Zaboomafoo,” and now to “Wild Kratts,” is that we want to introduce people, especially kids, to all the amazing animals who share the planet with us. We hope these animals will continue to survive and be around for a long time. Lisa: ﻿And knowledge is power.